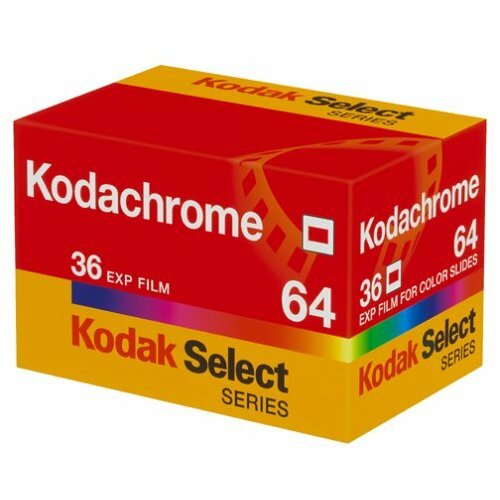 After slashing HIE-135 Infrared film 18 months ago, Kodak has officially killed Kodachrome film as well. Kodachrome has had served photographers for 74 years. Here’s Steve McCurry reflecting back on some of his history with Kodachrome – “the gold standard of imagery” as he calls it. In a report from Amateur Photographer, we learned that Vivitar and Kodak are joining forces to bring a new Kodak-branded 35mm SLR back to the market and attempt to create a now-niche foothold for film users. I, for one, welcome this development with fond memories of my Ricoh KR Super II. Best wishes to Kodak and Vivitar in this endeavor. Maybe Kodak will bring back HIE-135 as well? Since Kodak announced its plans to discontinue HIE-135 film . . .
KODAK is preannouncing the discontinuance of several smaller running families of Professional film – EPR, EPN and High Speed Infrared (HIE) effective end of December 2007. Demand for these products has been declining significantly in recent years, and it is no longer practical to continue to manufacture given the low volume, the age of the product formulations and the complexity of the processes involved.
. . . James C. Williams has started a jihad to save it. Mr. Hamilton has encouraged me to write Kodak and is aware that I am attempting to start an email campaign to save HIE-135. He has assured me that he will get the messages to the appropriate people. You can see James’ email to Kodak, along with emails from others, on this thread over at Photo.net. If you shoot film or have been thinking about shooting film, consider picking up a roll of HIE-135 from B&H Photo or Calumet, a couple of the few places that I’ve been able to find it online. Thirteen bucks isn’t much for a good deed this time of year (I’ve ordered a roll from B&H for myself). Also, send an email to Patrick Hamilton at Kodak if you like the stuff. While we very much appreciate the correspondence we’ve received from some photographers – who use our infrared film and would like to be able to purchase it in 2008 and beyond – the fact is the decline in the use of infrared film has been so substantial over the years that it is no longer practical for Kodak to continue to manufacture the film given the extremely low demand and volume, the age of the product formulations and the complexity of the processes involved.